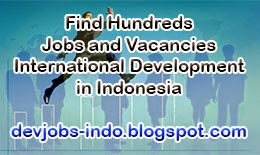 Jambi position in Sumatera make people who wants to reach it can travel easier with many options may be selected. People can travel to Jambi by plane, vehicle, or speedster. For domestic tourist, normally they start or transit in Jakarta before taking plane to Jambi directly. If you spend your previous visit in northern Sumatera like Medan or Aceh then you can travel by vehicle to southward or flying to Batam where you can have plane to Jambi directly. If vehicle is your choice then you can make trip through eastern state roads from Pekanbaru of Riau Province to enter Muaro Jambi Regency, or you can pick center state roads from Sibolga City of Sumatera Utara Province to enter Bungo Regency, those are the trip lines you can travel from northern. From Batam you may pick speedboat to reach Jambi City via Kuala Tungkal, the capital of Tanjung Jabung Barat Regency whereabouts takes 2 hours before Jambi City by vehicle on next trip. For people who make visit from southern Sumatera like Lampung or Sumatera Selatan, they can travel to northward with 2 options, the first one is to use eastern state roads which can deliver you to Jambi City about 5-6 hours traveling by vehicle from Palembang. The second one is to use center state roads that will make you to visit Sarolangun Regency first before reaching Jambi City on next 3-4 hours by vehicle. Another option is from Padang, the capital of Sumatera Barat Province, which means you come from western Sumatera, from there you may rent vehicle for traveling to Jambi to eastward through Kerinci Regency (275 km from Padang) or Bungo Regency (280 km from Padang). From Bengkulu Province, there is a road from Rejang Lebong Regency of Bengkulu Province that met with center state roads intersection about 2 hours before Sarolangun Regency, this road cut through hills and mountain giving you a different atmosphere of Sumatera. 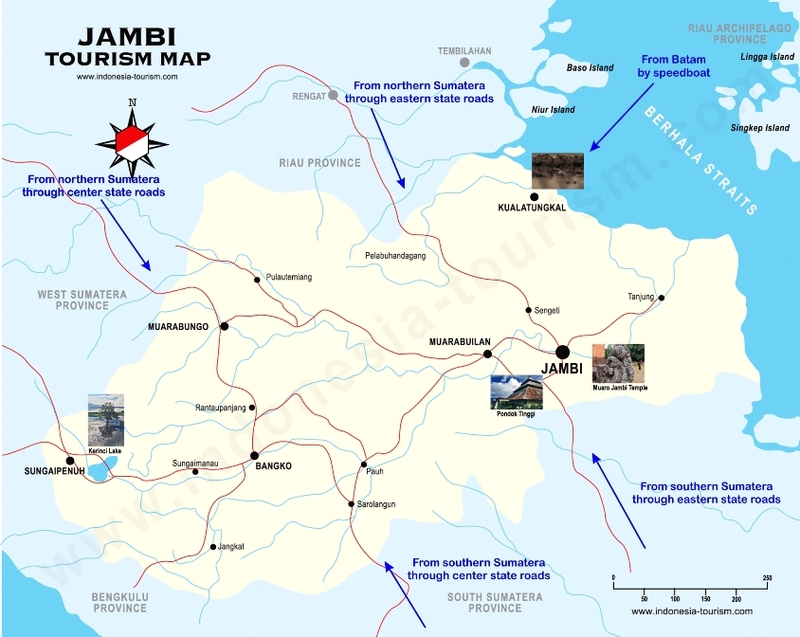 For foreign tourist, Singapore and Jakarta are transit cities you may pick to travel to Jambi. From Singapore you can use ferry boat to reach Batam and then flying to Jambi. If you have direct flight from your country to Jakarta then you can continue the trip by next plane to Jambi. Jakarta to Jambi flight takes normally about 55 minutes by jet plane like Boeing 737 while Batam to Jambi takes about 45 minutes. 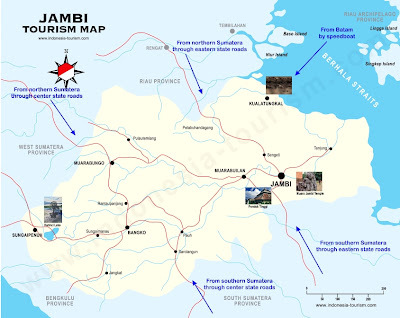 Here is list of options to travel to Jambi. Popular starting points both for domestic and foreign tourist are Jakarta and Batam where you can travel to Jambi by plane directly. From Batam you may pick traveling by speedboat and will reach Kuala Tungkal, capital of Tanjung Jabung Barat Regency, first before have next trip to Jambi City by vehicle for 2 hours. From northern Sumatera you can get in to the province by vehicle via eastern state roads and center state roads. From southern Sumatera you can get in to the province by vehicle via eastern state roads and center state roads. From western Sumatera you can get in to the province through Kerinci Regency or Bungo Regency.